It was a beautiful weekend at my parent's home in the country. We celebrated Easter and took the kids on a hayride Easter egg hunt. On Sunday morning, Pj and I took a walk and explored the barn. I wore my beautiful new dress, sent to me by eShakti. I have a couple of their dresses and always get compliments when I wear them. Rhys came running in the house, yelling "Mommy!" and when he saw me he stopped and said "you wook pwetty!" This is the Caroline dress and it is my absolute favorite! It has pockets and a full skirt with elastic smocking on the back waist area. 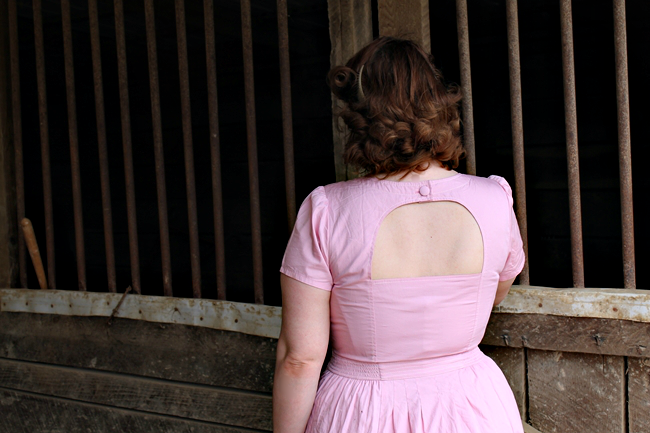 The upper back has a lovely cut-out with a fabric covered button. I had this dress made to my measurements with puff sleeves. The dress is made in cotton poplin which wrinkles very easily and is difficult to iron but I tossed it in the dryer with a damp towel and that did the trick! The waist is fitted with pleats that flare out at the hip. I'm hoping to treat myself to another in a different color- maybe blue or green next time! New customers receive $25 off your first order. Beautiful photographs! I have a deeply rooted love of farm/country life, but rarely get to indulge it. 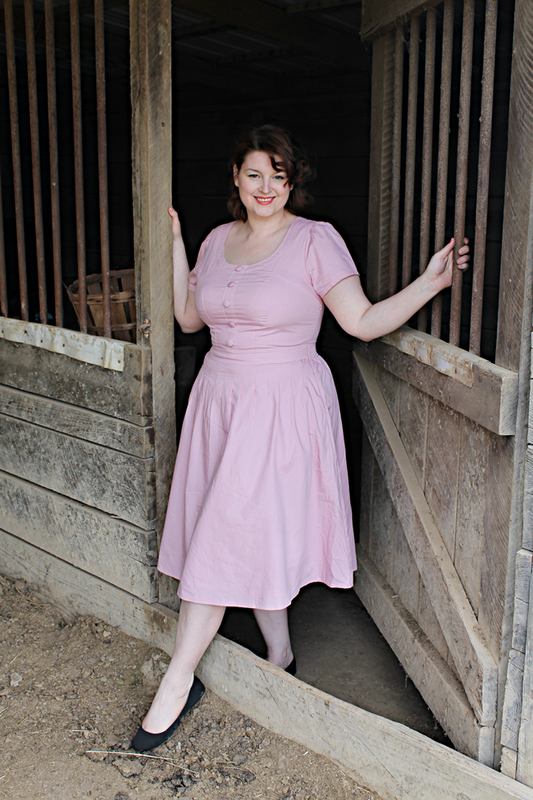 I'd totally pose in/with a barn like this if there one around here for me to avail of. Gorgeous dress! 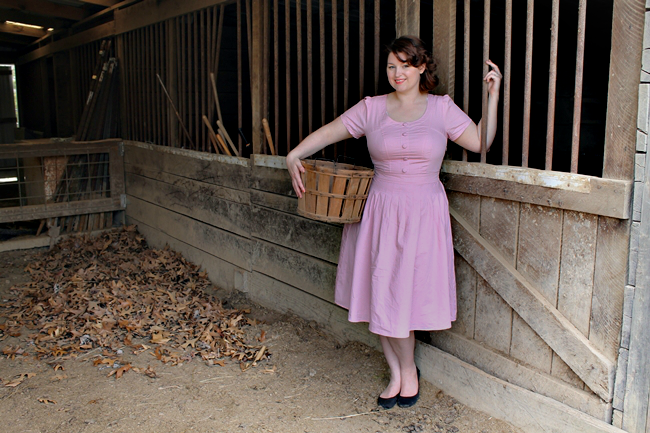 The pink color stands out so well against the backdrop of the barn, too. Very nice shoot! Happy Easter! That dress is so pretty and fits so well! 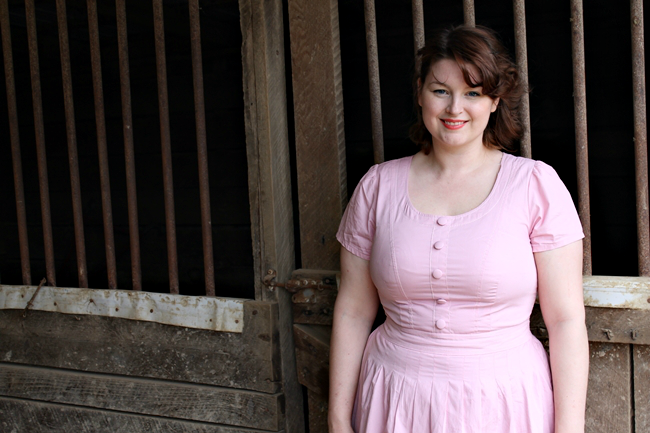 I have a friend who recently starting getting this from eShakti because she is a very difficult to fit size/shape. She's gotten some really great stuff. Might have to go a little looksy at what else the site has to offer! What a pretty dress! The color is so lovely for spring. I've never heard of putting a wrinkly dress in with a damp towel to help smooth it out- what a great tip! Thanks! :-) Oh, and your hair looks so nice, too! Gorgeous and well-fitted dress--you look lovely in it! LOve this it suits you so much! Wow! That dress looks amazing on you! Very pretty indeed! You wear pink really well and this dress is perfection on you :) :) Makes me smile! Wow! This is a very beautiful dress, you`re looking so chic and very cute! I´m from Austria and I love your blog, I`m always so inspirated of you and your style! What a wonderful spring time dress. I'm not sure it will ever be warm enough to wear short sleeves again. You give me hope. You look totally beautiful, that dress was made for you!!! Beautiful photos. Gorgeous look! Congratulations! Awww, I love this photoshoot! I actually got this dress recently in red, it's lovely, I concur. 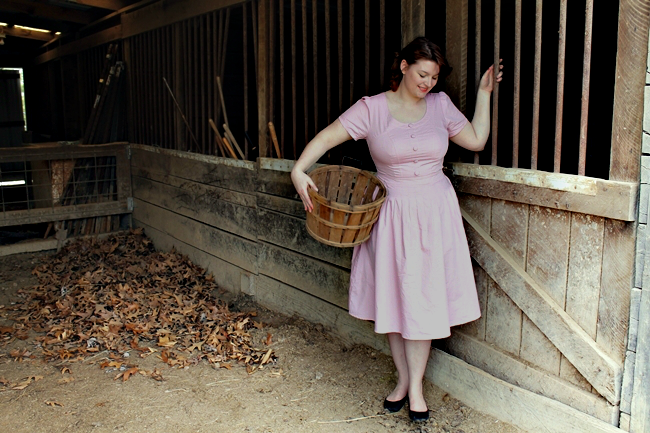 You look so adorable and cute in the barn! Love this dress and you look fabulous in it! I haven't ordered from here yet but it is on my list! The colour of this dress is just perfect on you. I keep hearing wonderful things about eShakti from all the bloggers who have reviewed them so I might just have to treat myself I think.